What motivates corporate philanthropy? 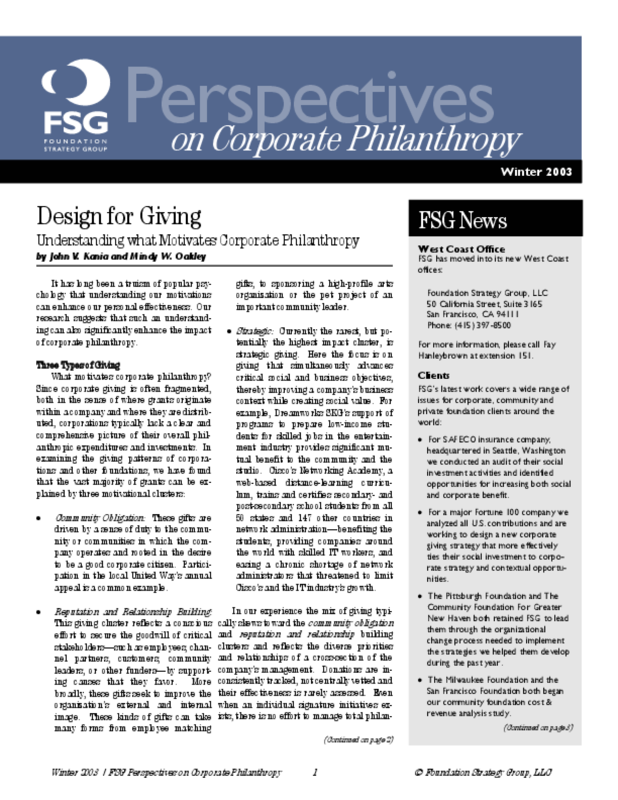 Since corporate giving is often fragmented, both in the sense of where grants originate within a company and where they are distributed, corporations typically lack a clear and comprehensive picture of their overall philanthropic expenditures and investments. In examining the giving patterns of corporations and other foundations, we have found that the vast majority of grants can be explained by three motivational clusters. Maximizing impact means managing the mix.